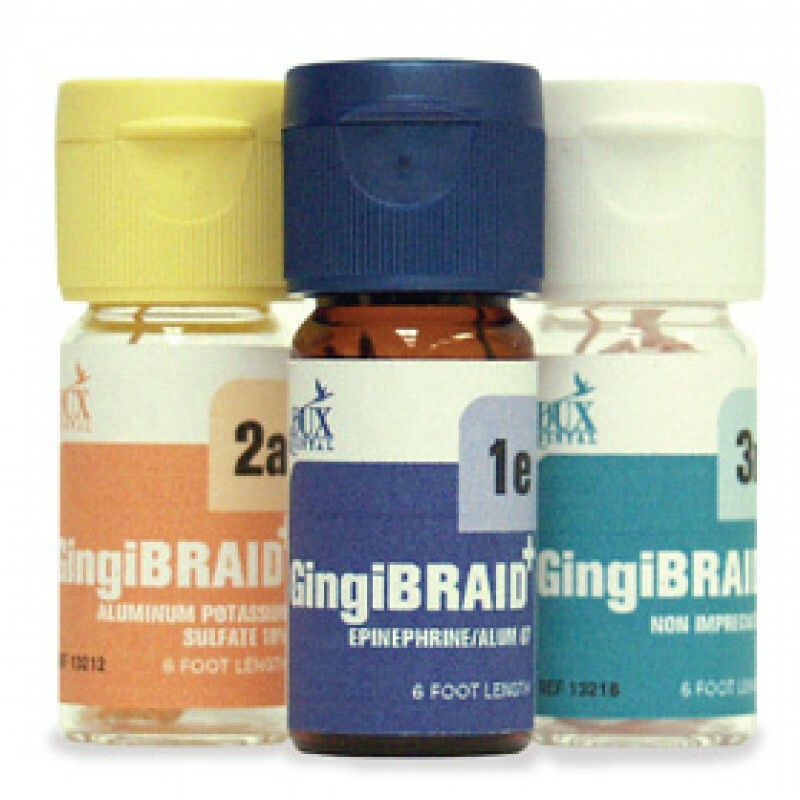 Specially treated braid for faster absorption allowing immediate use and effectiveness. Braided retraction materials are made of cotton fiber that will not split or collapse in the sulcus. The retraction braids have a background color (for medicament identification) with a different color strand running through the braid for diameter identification.